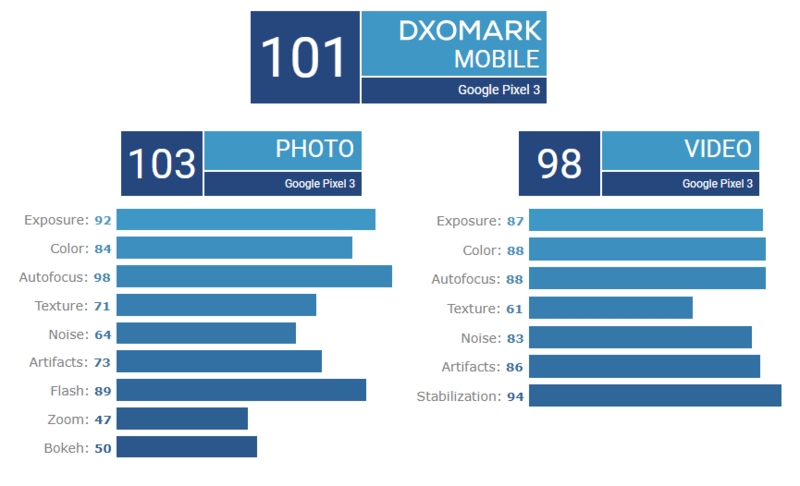 When Google Pixel and Pixel 2 were released, they often set a new high score on DxOMark Mobile despite having just a single lens. After two months since its official launch, DxOMark has finally released their Pixel 3 review. It had gained slightly more points than its predecessor and it’s just on par with the iPhone XR on DxOMark’s current ranking. That makes both the Pixel 3 and iPhone XR the highest rated single-camera smartphones at the moment. The Pixel 3 had received an overall score of 101 with 103 points for Photo and 98 for Video. 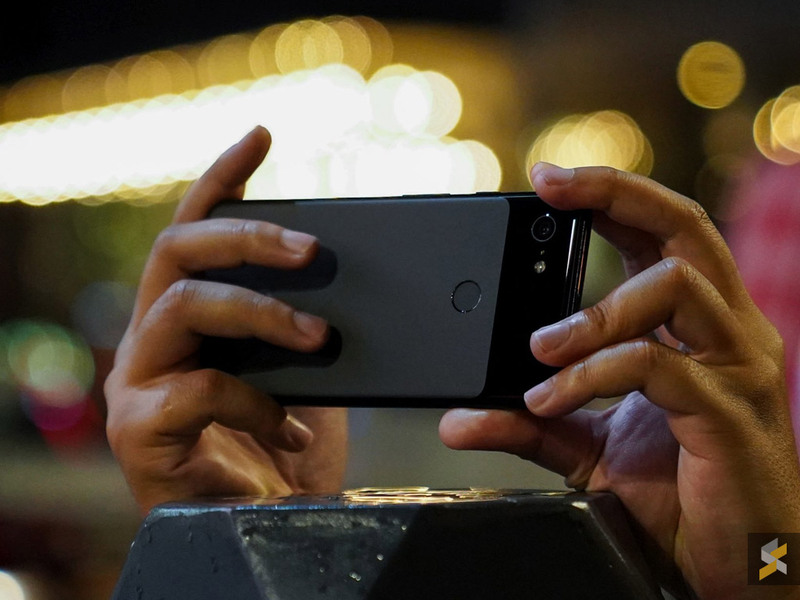 Their review noted that the Pixel 3 has gained in image processing using computational imaging, while its Zoom and bokeh capabilities have improved dramatically over the previous generation. However, it falls behind other multi-camera setups on newer flagship smartphones. For photos, the Pixel 3 is reported to show luminance noise in low light conditions and occasionally it chooses a very low exposure. For shooting videos, the Pixel 3 is said to be efficient in motion stabilisation however, there are noticeable jello and frame shift in walking scenes. They added that video colours can be slightly dull and there’s slight jerkiness during autofocus in low light. In the past year, the competition has really stepped up their photography game and the top scorer at the moment is the triple-camera Huawei P20 Pro at 109 points. 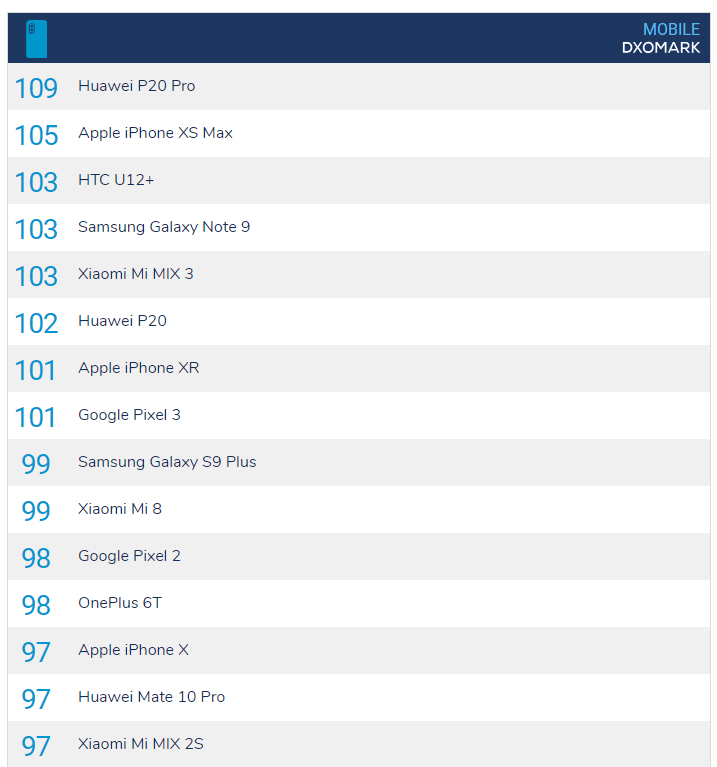 Other devices that are ranked higher than the Pixel 3 include the iPhone XS Max, HTC U12+, Galaxy Note9, Mi MIX 3 and even the Huawei P20. The Mate 20 Pro with its ultra-wide-angle lens has not been evaluated by DxOMark at the time of posting. You can read their full review here. In case you missed it, you can check out our low-light camera comparison test between the Google Pixel 3 XL, Huawei Mate 20 Pro and OPPO R17 Pro here.